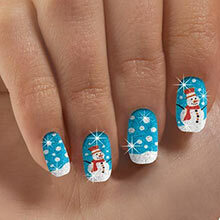 Show off your cheer with darling Snowman Nail Appliqués! 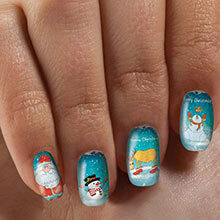 Accented with snowflakes on a sparkling blue background, the set includes 12 sizes for a perfect fit. Easy to apply - simply peel and stick. No drying time required!